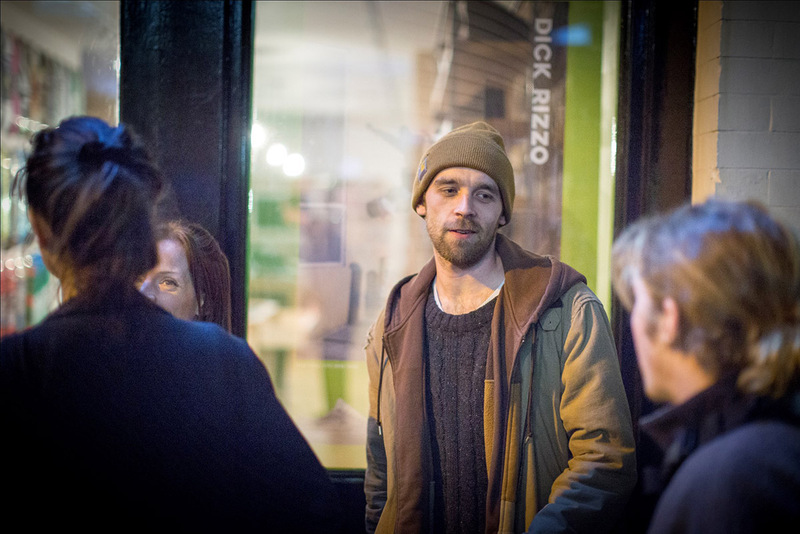 Thursday night, we dragged our boy Rohum away from the editing suite and ventured out to cover the premiere of Hold Tight Henry’s (In conjunction with Theobalds Cap Co.) most recent film, ‘Dendridic Flux’. First and foremost, it’s rare to see new brands emerge in today’s market that we can actually get behind and have the honour to support. Being one of Theobalds’ first dealers has been nothing short of a privilege – Especially when they release product and videos as exceptional as this! 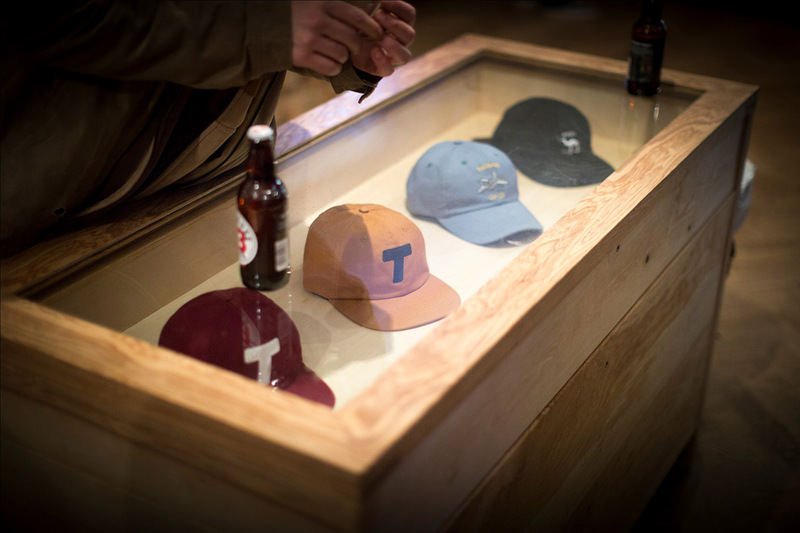 “Latest drop of Theobalds Cap Co. Headwear, very nice!” Photo by Rohum Pourtahmasbi. After the success of his first video, Henry hasn’t put the camera down. He continues to film a variety of unfamiliar skateboarders from the South London area, one of these including Joel Banner. We just want to say how stoked we are to see more of Hold Tight Henry’s work, as it has always been at the forefront of classic, British skateboarding that continues to make us feel more appreciative of our scene. “Henry Edwards-Wood enjoying some down time after the premiere.” Photo by Rohum Pourtahmasbi. 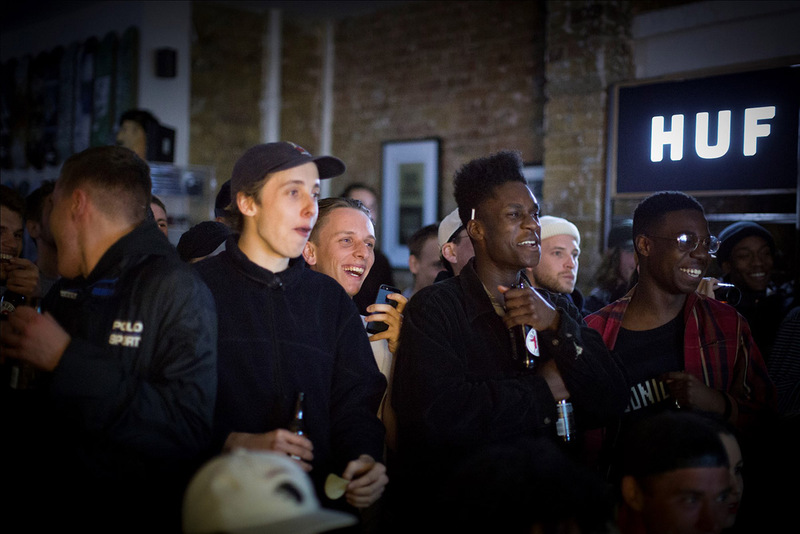 ‘Dendridic Flux’ is much longer than Henry’s previous video, however the music selection, as well as the skateboarding and poetic flow, keeps you entertained throughout the entire film. Every beat counts for something and Henry has made sure to create an atmospheric mood that smoothly coincides with his unique style and approach to skateboarding films. “The crowd went wild for this video!” Photo by Rohum Pourtahmasbi. It was interesting to see how this video has developed since the very first day of filming. Having covered the day Henry first met Joel for ‘Rolling: Without Footage It’s Fiction (2017)’, none of us expected that we would witness him take away the ender for ‘Dendridic Flux’, much less also to be riding for an impressive company such as Theobalds. Somebody hook him up with boards already! 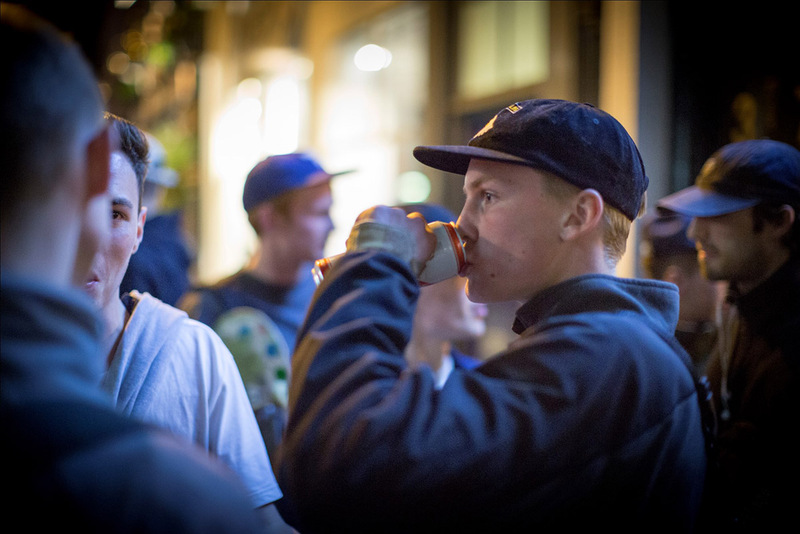 “Joel Banner chugging a well deserved beer after throwing down a ridiculous part, that ender!” Photo by Rohum Pourtahmasbi. As mentioned before, the film’s soundtrack is great enough to keep you engaged, but in addition to the tunes, the film truly excels due to its essence of nostalgia. Watching Joel’s part in the film personally brought me back to when I first started skateboarding. I believe Henry has accurately managed to create a timeless video. I will gladly sit and watch ‘Dendridic Flux’ over and over as I did with the old Blueprint Skateboards videos. 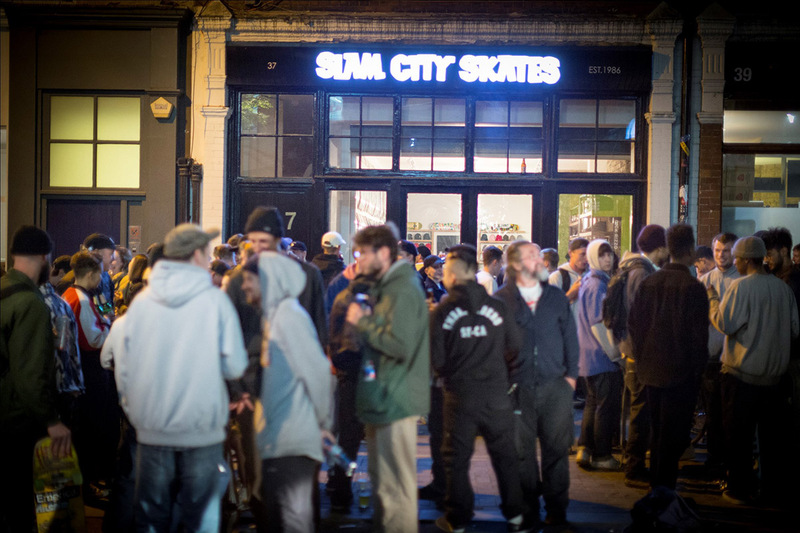 “Big shout out to our friends at Slam City Skates who were kind enough to host the premiere!” Photo by Rohum Pourtahmasbi.